I have a little hobby that has turned into a part time job that you may be interested in. I build heavy duty fire pits and custom cut artwork (freehand) in the sides with a plasma cutter. I love the outdoors and my work reflects my interest. I’ve attached a couple pictures for your viewing. I’m thinking about running an ad in HO to increase sales but wanted to run an ad in the classifieds first to see if the HO readers are interested. They are 37 1/2 dia x 26 1/2 tall. entire pit is 1/4” thick steel. They weigh 160 lbs. I like to refer to them as the last pit you will ever buy. You can see more of my work and contact info at www.roughcutcreations.com. Those are pretty cool. Ler us know when you make your 1st million!!! I WANT ONE!!!!! !What about some deer horns and maybe a buck behind 2 does??? ?Id have too chain it too a tree so my buddies wouldnt steal it…..Curious on the price??? Where are you located…. just wondered how far of a drive it would be ? those are awesome! what is the cost and where are you located? His website says Brownstown IL. It also says each one is custom made and designed so I would guess its priced by order. Just my guess. Hey all, thank you for the positive feedback. Yes I am located in Brownstown, IL as far as pricing it does depend on the designs and what you want done with the pit. I get some interesting requests, from foot rails to cook grates. General pricing for the ones like you see on this post is $400. It cost $200 to have one fabricated, sand blasted, and painted then I charge up to $100 per side to cut the designs. Simple designs or a short name are cheaper and complicated designs are subject to a price increase. Please feel free to contact me and i set you up with a custom pit that your great grand kids will still be using. I do have a waiting list but I can usually turn them around in 2 to 3 weeks. 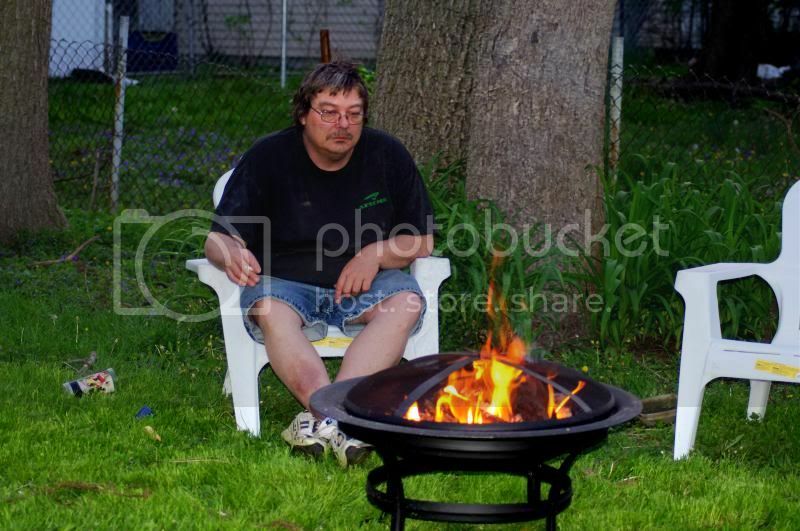 i just bought a metal fire pit today. we burned in it tonite. those things are awesome, especially for us city people that arent allowed to have open burning. i wish i could afford one of yours though. those are REALLY cool! I just finished up another batch of pits. I made one with a panfish theme. Crappie on one side bluegill on the other side. Love to hear your feedback.